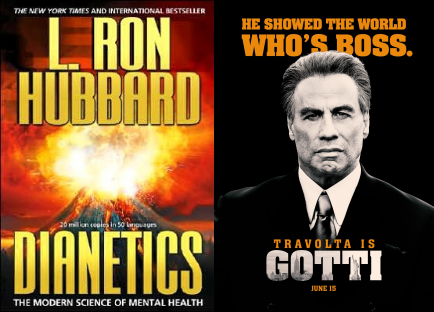 Scientology Sizzling Summer Special: Buy a Copy of Dianetics & Receive a Free DVD of Gotti! – OTVIIIisGrrr8! Scientology Sizzling Summer Special: Buy a Copy of Dianetics & Receive a Free DVD of Gotti! How can you lose with L. Ron Hubbard and John Gotti? They go together like money and laundering! Quantities limited to stock on hand, which is to say we in Scientology have to unload 5,000,000 surplus copies of both. Scientology Warning: Marijuana Was Created Eons Ago by Alien Botanical Psychiatrists! Don’t Use Xenu’s Weed! Hubbard and Gotti: two heinous, EVIL criminals who ran mobs. COB wants to be just like them!